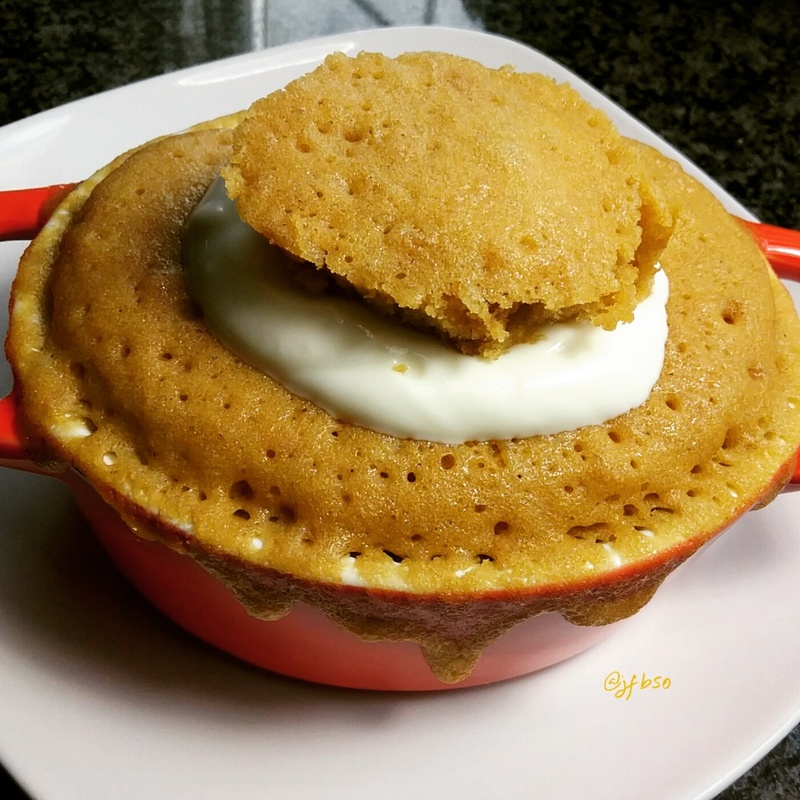 Ginger sponge pudding (GF) filled with Greek yoghurt mixed with chopped stem ginger | Jo's food bites. Put all the ingredients in to a bowl and mix well until smooth. Divide equally between the ramekins. Put in the microwave for 2 mins – test with skewer. Cooked when skewer comes out clean. Mix Greek yoghurt with the chopped stem ginger. Scoop the centre of the pudding out and fill with yoghurt mixture and pop ‘lid’ back on. Serve whilst puddings still hot.